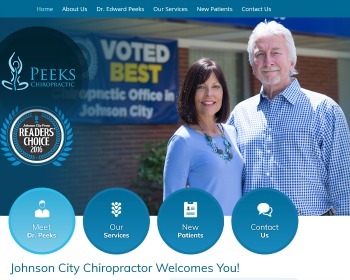 New Chiropractic Websites Just Launched – Peeks Chiropractic, P.C. and more! Chiropractor Dr. Edward Peeks seeks to restore your body’s function with a scientific approach to natural health care. See your objective results and feel your symptoms lessen with our many solutions. Visit our website today to find out more! 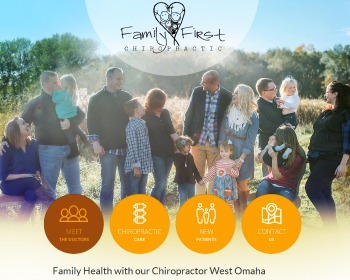 Chiropractors Dr. Joel Marley and Dr. Jeremiah Sample offer state-of-the-art facilities to help you and your family enjoy incredible well-being. You’ll be educated while you receive the precise health care you need. Visit our website today! 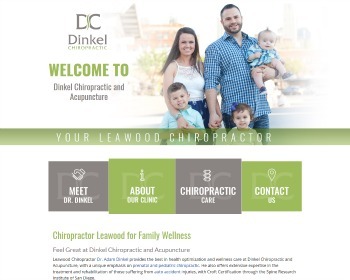 Chiropractor Dr. Adam Dinkel offers family wellness care, with an emphasis on the unique needs of expectant mothers, and children of all ages. He also has expertise in the treatment of auto accident injuries. Visit our website today! 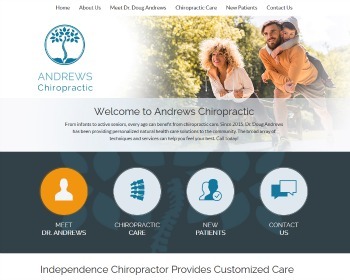 Dr. Doug Andrews provides customized natural health care solutions to the community. He offers a variety of techniques and services to help you feel fantastic and specializes in care for athletes. Visit our website today!